An exciting new children's book flies onto the bookshelves. Based on historic stories about the town, and illustrated in full colour, we meet a humorous and quirky cast of characters who weave in and out of the pages following Olly the owl, the town mascot. 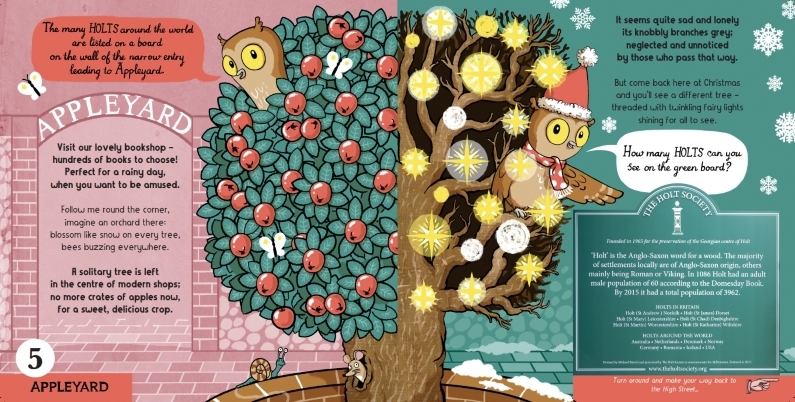 And while the eye is immediately captivated by the stylish and quirky illustrations, children will be hooked into the story lines which are written in rhyme. Young children enjoy the pleasure of hearing rhyming words and then repeating them aloud, especially if the stories are mischievous! Published by The Holt Society, the book is intended to 'make history come alive' for the young generation of Holt. Keeping the price low at £4.99 makes it accessible to as many children as possible. 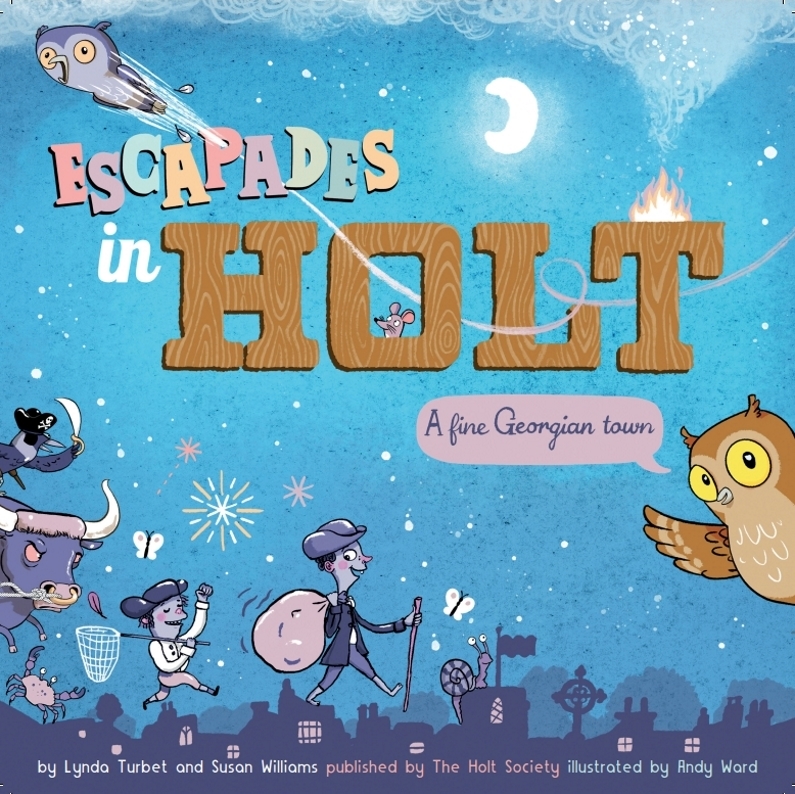 Any profits from sales will be used to distribute free copies to school libraries, children's hospitals and hospices in Norfolk so all can enjoy Olly's escapades.